‘Walking barefoot on the warm stone pavement around the point this summer I looked down onto the rich ochre colour of deserts, onto the pink hues of Petra, and into the patterns of the webs connecting us. How often we scan the horizon searching that other place, that place we long for… when we draw a line between sea and sky, earth and sky or earth and sea we differentiate aspects of the whole in our attempt to define landscape. The land stretches beyond us, yet it is the ground where we walk- our common ground. Desiree Fitzgibbon’s painting, Genius Loci, is currently on show at Handmark Gallery, Salamanca Place, in an exhibition of Tasmanian Landscapes. 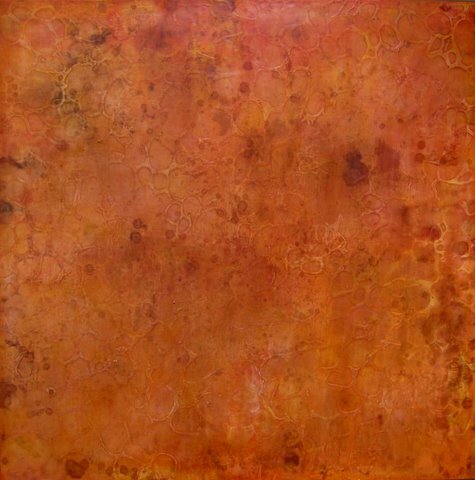 This entry was posted in All posts, Your Place and tagged Desiree Fitzgibbon, genius loci, Handmark Gallery, painting. Bookmark the permalink.